Riot Blockchain Inc. ($RIOT) is the first NASDAQ listed company that focuses exclusively on bitcoin and blockchain-based companies. Our very own Doug Polk interviewed an advisor (joined October 2017) to Riot Blockchain and took a dove into several key points that make Riot Blockchain what it is today. Riot Blockchain as we know it has gone through a surprising amount of name changes in a relatively short window. Originally known as Venaxis Inc., the company bought BiOptix Diagnostics Inc. in 2016 and changed its name to Bioptix Inc. This move ended up being an unfortunate misstep. According to Bloomberg, the former CEO Michael Beeghley noted that the company was in too small of a market and was burning through cash. On October 2017, Bioptix changed its name to Riot Blockchain Inc. and announced its pivot into buying blockchain and cryptocurrency businesses; adding Jason Mo, Cole Diamond, and Jason Les to its advisory board and investing in the Canadian cryptocurrency exchange “Coinsquare”. During the transition, John O’Rourke became CEO. When the company made the announcement, the stock nearly doubled. Here was a company that solely focused on producing diagnostic machinery for the biotech industry making a sudden and sharp turn into the largely misunderstood and aggressively hyped cryptocurrency ecosystem to the benefit of shareholders and company leadership. The move was met with criticism from both the cryptocurrency and traditional finance worlds. Let’s take a deeper look beyond the scope of the media criticism into a few moves Riot Blockchain has made in the cryptocurrency and blockchain world. Since the pivot, Riot Blockchain made a series of acquisitions and purchases in the blockchain and cryptocurrency industry that changed the tides from finger-pointing skepticism into disgruntled curiosity. One of the more notable Riot Blockchain early acquisitions was an 11% stake in the Canadian cryptocurrency exchange Coinsquare, with an opportunity to increase the stake to 14.7% by May 2018. Coinsquare is one of the largest exchange in North America (second-largest in Canada by trading volume). According to an interview with Jason Les, an advisor and director at Riot, Coinsquare recently raised an institutional round of financing at a CAD $430 million valuation and Riot’s stake is now 12.5%. Another early acquisition was Kairos Global Technology Inc., a mining operation which had 700 Antminer S9s and 500 Antminer L3s for $11.9 million worth of preferred convertible stock. October 2017: Riot Blockchain purchased a 52% stake in Tess, the developer of blockchain-based solutions for telecom companies for 75,000 shares and a $320,000 investment. Since then Tess has entered into a definitive agreement to merge with a Canadian public company. November 2017: Riot Blockchain invested in Verady, a company that provides accounting, audit, and verification services for blockchain-based assets. February 2018: Riot Blockchain acquired a mining operation in the American midwest with 3000 Antminer S9s and 12 MWs of power capacity. In the same month, it acquired 3800 more Antminer S9s. The company expects to fully deploy the company’s 8000 ASIC miners by May 2018. 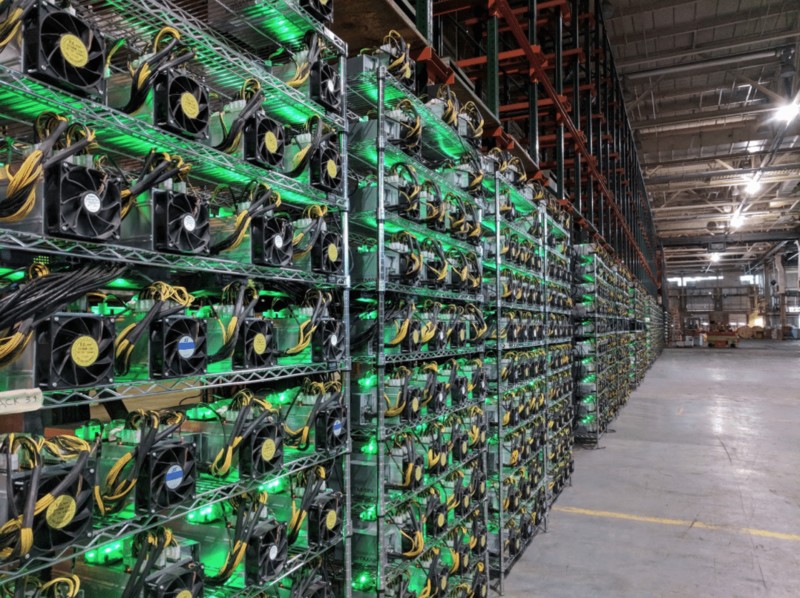 One of Riot Blockchain’s mining facilities. March 27, 2018: Riot Blockchain bought Logical Brokerage Corp, a Miami-based futures introducing broker that is registered with the Commodity Futures Trading Commission (“CFTC”), as part of the company’s effort to launch a cryptocurrency exchange in the United States. Riot Blockchain also won 500 Bitcoin from a U.S. Marshall’s Auction on January 24th, 2018. 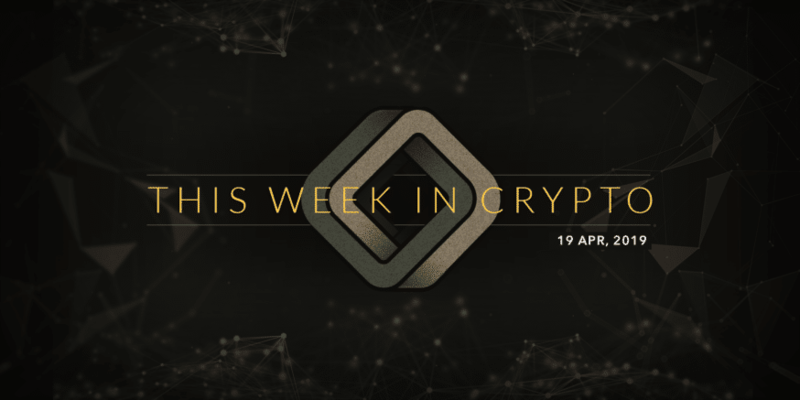 Riot Blockchain has undergone some fairly drastic changes in strategy and branding, but it’s still one of the only publicly traded companies to place its entire focus in the cryptocurrency world. Riot Blockchain’s intentions seem pretty set on developing a holistic approach to becoming a key player in all parts of the cryptocurrency and blockchain world. With stakes in the mining, cryptocurrency exchange, accounting, and futures industries, Riot Blockchain has the opportunity to leverage their various assets to create momentum for their own projects in an already rapidly moving industry. To find out more about Riot Blockchain, check out their investor presentation.